Modular buildings in Fort Walton Beach have been used for almost every industry and walk of life. Construction offices, educational facilities, medical facilities, industrial uses, prison / correctional housing and administration, branch financial offices, real estate offices, government buildings, and general commercial offices. Used and even new modular buildings in Fort Walton Beach are an affordable alternative to constructing an entirely new home or office building. We offer a wide range of new and used modular buildings in Fort Walton Beach, plus Turn-Key Solutions for residents of Fort Walton Beach, FL as well. Contact us now for a Free Modular Building Quote! Creative Modular Buildings, Inc. is a commercial modular company providing permanent and portable modular buildings. 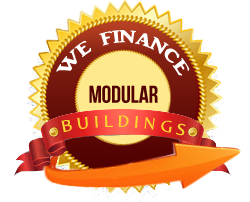 We sell, lease, and finance new and used modular buildings in Fort Walton Beach. We design and build our modulars for classrooms, administration offices, clinics, cafeterias, construction trailers, and/or any other commercial use. The buildings are design/built from a variety of materials including wood, steel, brick, and concrete for single and multi-story construction in Fort Walton Beach. Creative Modular Buildings has the capacity to provide total turn-key service to our clients. Creative Modular Buildings, Inc. specializes in providing commercial modular buildings in Fort Walton Beach for businesses of all types. Since 1998, we have focused on delivering high quality modular solutions to the “Relocatable Space Industry.” The design, manufacture, sales and/or leasing of modular buildings continues to be our focus, and we have worked to improve all aspects of this business through the years. Today, the materials and manufacturing process is at a higher standard than ever before, and many business owners now see the viability and importance of using modular buildings in Fort Walton Beach. As an experienced leader in the industry of modular buildings for commercial use, we are well placed to help you with every stage of the process from identifying exactly what you need, through the design and construction process and even financing your modular buildings. We have the knowledge and experience to ensure you get the results you need. We have stood the test of time in this industry because we keep up to date with the latest technology and innovations, and ensure that the Fort Walton Beach modular buildings we create and supply are of the quality you expect. They will perfectly meet your needs, providing excellent strength, stability and security which is now possible with the latest materials and high quality design and construction methods. You want to be certain that when planning something on this scale that you are working with people who meet the highest levels of expectation, and it goes without saying that all industry standards and any necessary legislation must be correctly adhered to. For all of these reasons and more, Creative Modular Buildings should be the first choice for anyone considering the purchase or rental of a commercial modular building in Fort Walton Beach. We look forward to hearing from you and helping you achieve the results you need.